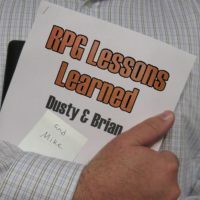 This week on RPG Lessons Learned: Dusty and Brian talk about running games in an hour… over lunch at work! Do you aspire to run a shorter game? This is worth a listen! RPG Lessons Learned 055 – How does this end? This week on RPG Lessons Learned: We help Brian plan his first session behind the screen! 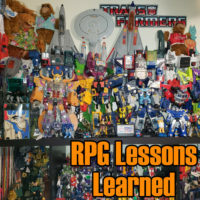 This week on RPG Lessons Learned: Did we finally figure out Savage Worlds? Did we finally have an East Texas University game that EVERY player enjoyed? Darn right we did!